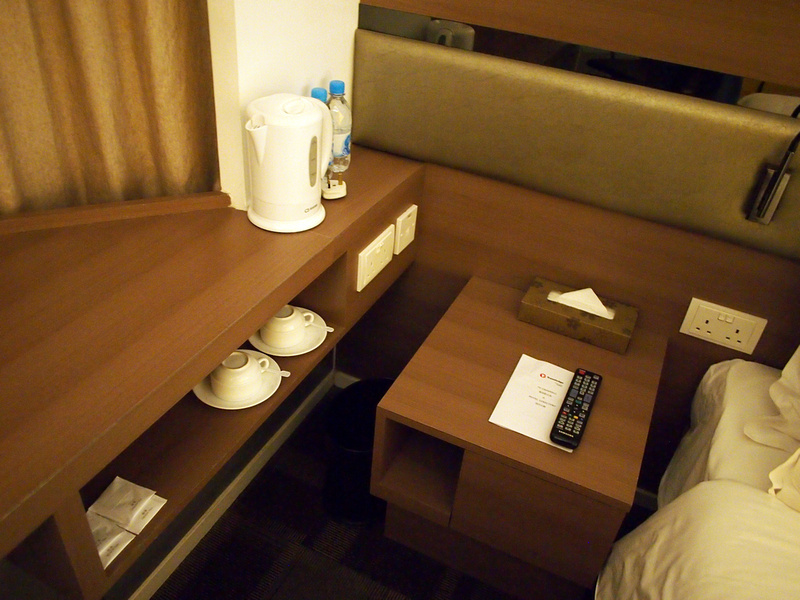 Summary: An affordable mid-range hotel ideally located in the Jordan area of Hong Kong. 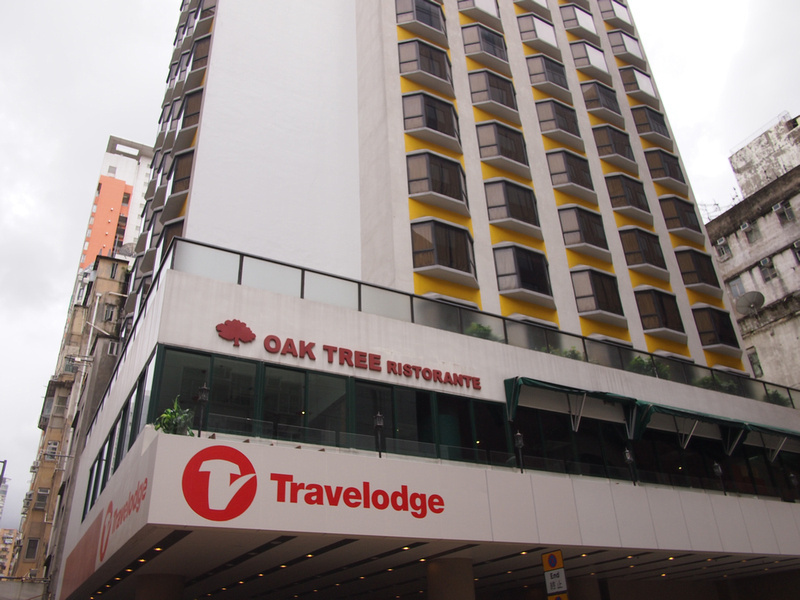 Travelodge Kowloon is the first hotel in the Travelodge group to open in Asia. The hotel is in the Jordan area of Kowloon, which is one of my preferred areas to stay in Hong Kong. The hotel opened in January, 2017 and they have since expanded to Thailand, with other countries in Asia opening soon. When they opened I was invited to stay to review the property on my next visit to Hong Kong. 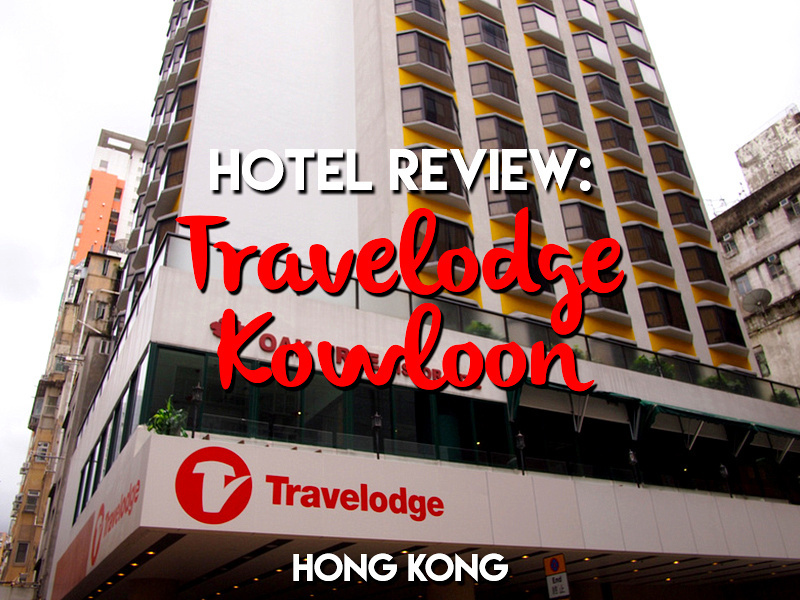 Travelodge Kowloon is a mid-range hotel (3-stars) located on Saigon Street (easy for me to remember!) and less than 5 minutes walk to the Jordan MTR station. Saigon Street is off Nathan Road, which is the main road of Kowloon which starts at the harbour front. 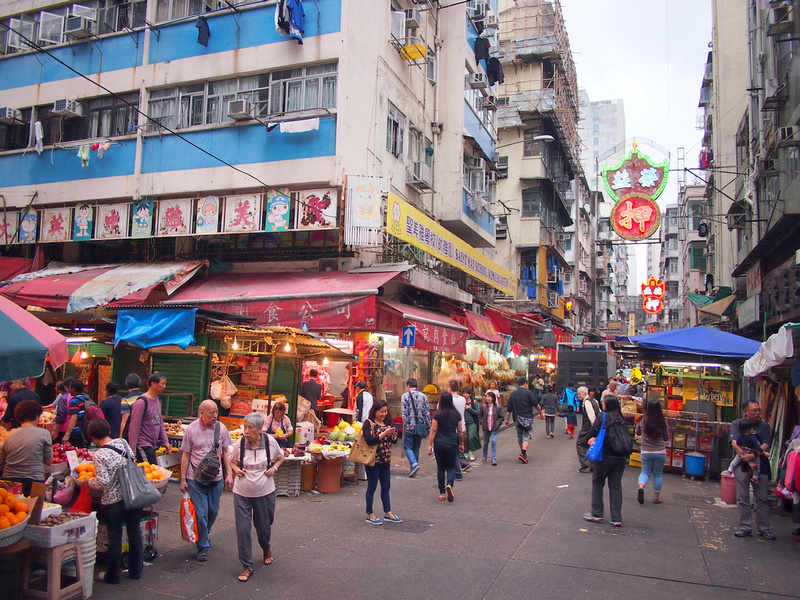 Getting here is easy enough with the A21 Airport Bus passing by on Nathan Road, or by getting the airport train to Kowloon and then getting the free hotel shuttle bus that runs to Jordan. Being just a bit removed from the harbour front means that hotels in Jordan are better value for money. As property prices are so high in Hong Kong, the closer you are to the harbour the less room or more expensive your room will be. This was immediately noticeable when I walked into my room to see so much space. 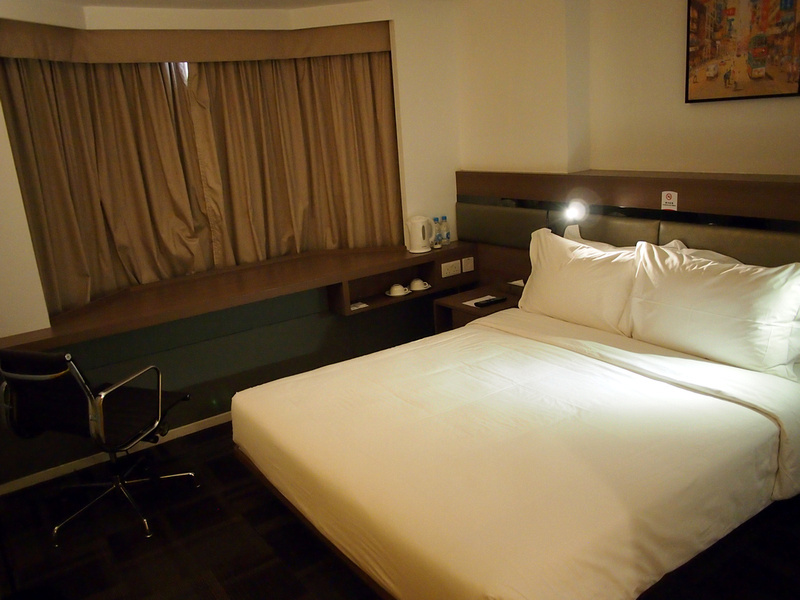 The two best qualities of a hotel room for me are a comfortable bed and a good seat and work space. The bed here was soft and comfortable and a pleasure to relax on. The work desk formed part of the window ledge, making clever use of the room space. The chair and desk were comfortable, though it was hard to get me off the bed. Tea and coffee making facilities are provided, and free drinking water is supplied in the room. 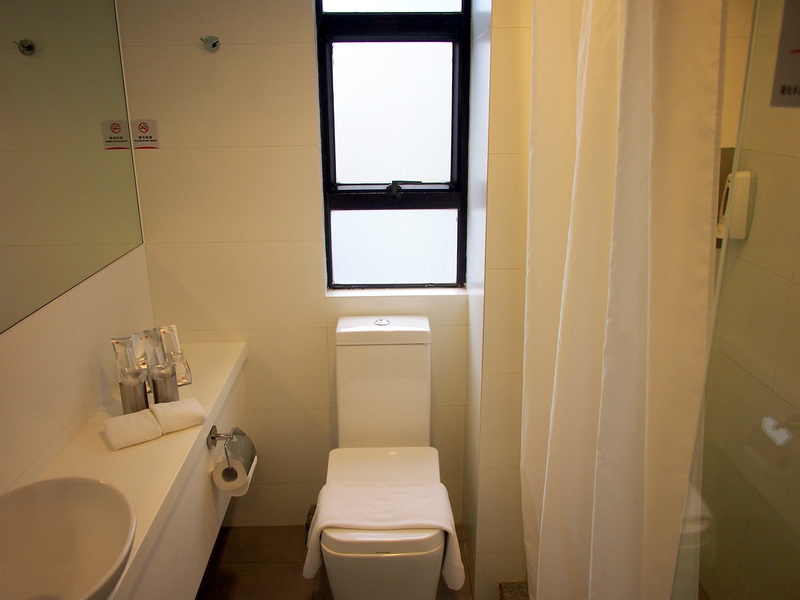 The bathroom was also bright and spacious, feeling clean and fresh with a good sized window for natural light. 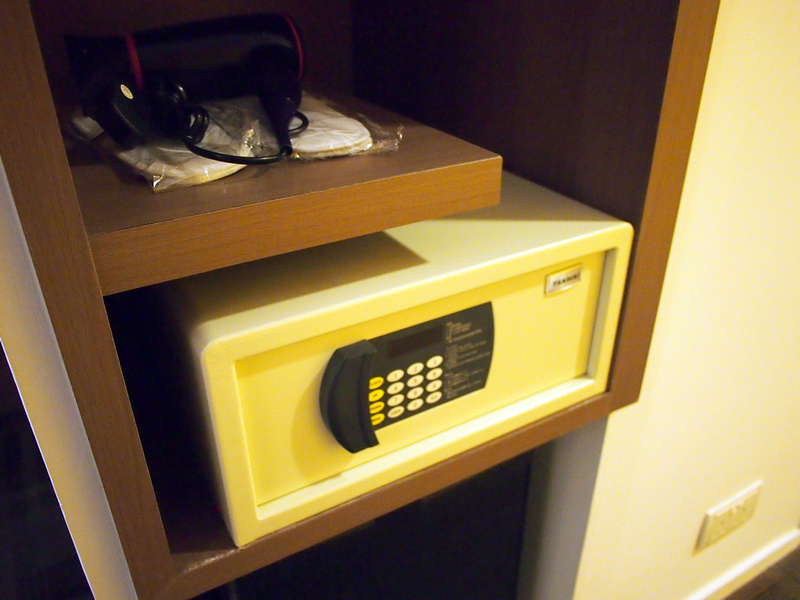 A room safe and hair dryer are provided in the room. There is free wifi which works everywhere in the hotel. 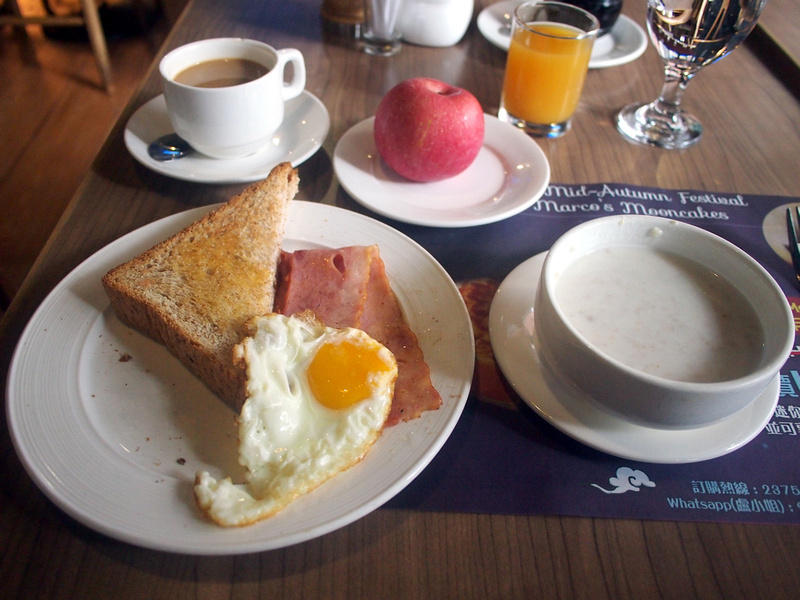 There is no in-house breakfast service, but there is a restaurant in the building that offers discounts to hotel guests. This breakfast set was a very reasonably priced $35HKD. As I mentioned, Jordan has become my preferred area to stay in Hong Kong. Tsim Sha Tsui on the harbour front of Kowloon is a great place to stay, but the area is becoming increasingly gentrified as glass box towers have removed much of the street level activity. Jordan still retains what a visitor imagines the sights and smells of Hong Kong to be. 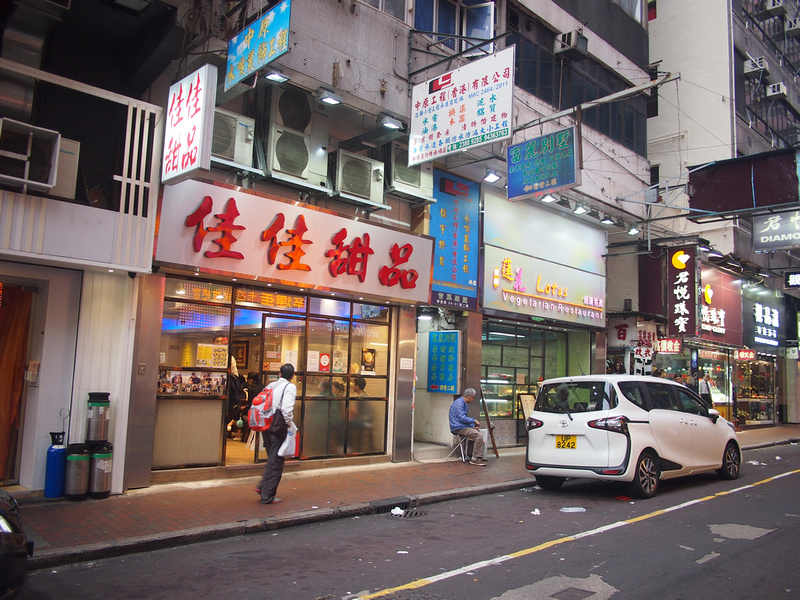 There are still hole-in-the-wall noodle shops here and a wide variety of cheap eats. For example nearby is Kai Kai Dessert, which won a Michelin Star for its glutinous rice dumplings in ginger sweet soup. The hotel is also near the Temple Street night market, which is a popular place for shopping and food. There are also malls and cinemas around here so there are all the amenities you need between sightseeing. Kowloon is also flat and easy to navigate (compare to the hilly Hong Kong Island side), so walking around is easy. Walk straight down Nathan Road and you have the magnificent view of Hong Kong harbour. 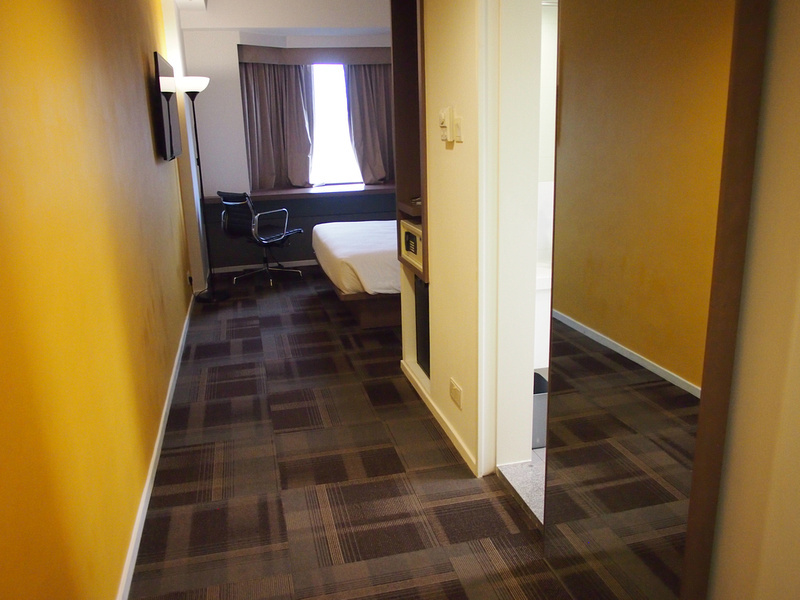 If you are planning a trip to Hong Kong check out the Sweet Deals page to find the best rates for the Travelodge Kowloon.